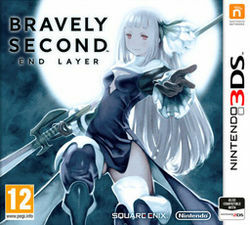 Bravely Second was the last game in my gaming backlog. I picked it up for a trip a few month ago and just never got around to playing it. Now I have! I have to say, the underlying systems in this game are great. Everything I loved about Bravely Default is here and most of it has actually been improved upon. The old systems have been tweaked in good ways and the new systems just add to the game. I love everything they're doing from a mechanics standpoint. But... after five or six hours with Bravely Second the story still failed to grab me. It's set in the same world with a bunch of the same characters and I think that's a major stumbling point. They all had a complete story arc and now they feel shoehorned into another adventure. The new characters interact with the old characters and I just fail to care. Maybe if I buckled down and pushed on further it would change. For now I just need to set this game down and know I'll come back to it when I'm ready. It'll be waiting for me on my 3DS. I'll most likely give it another shot next time I travel. It'll eventually be the correct time for this game in my life, but now isn't that time. Honestly, I wish they had just taken the mechanics and transplanted them into a completely new setting. I feel like the story could have grabbed my attention if it wasn't burdened with being set in the same world and adding on to another (already complete) story.